In this article we’ll go over how to add us as a Release Manager so that we can submit your app to Google. Now that you’ve enrolled in Google’s Developer Account, you’ll need to add us as a Release Manager to your account. In this article we’ll go over how to do this. What is a Google Developer Account? Your Google Developer account is what’s required for your Android app to be available in the Google Play Store. 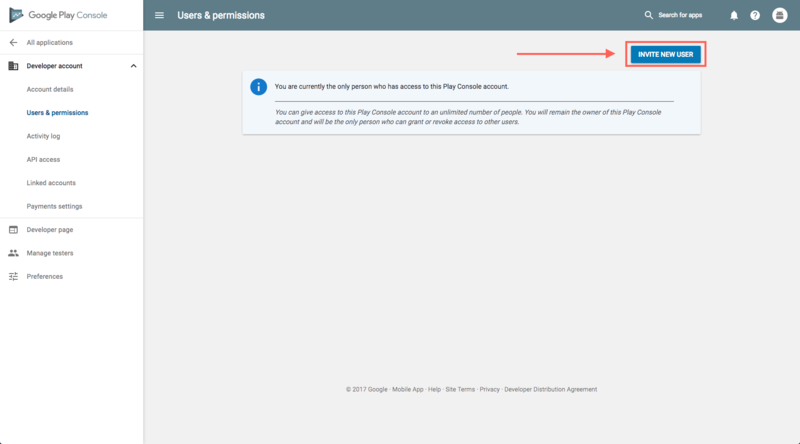 Before you can add us to your Google Developer Account, you’ll have to create an account first. If you have not done this yet, check out our article on How to Create a Google Developer Account which gives you step-by-step instructions of the process. What Are the Steps For Adding Us As A Release Manager To Your Google Developer Account? Now that you have a Google Developer Account, you’ll have to add us to your account so that we may access it and publish your Android app on your behalf. Step 1. 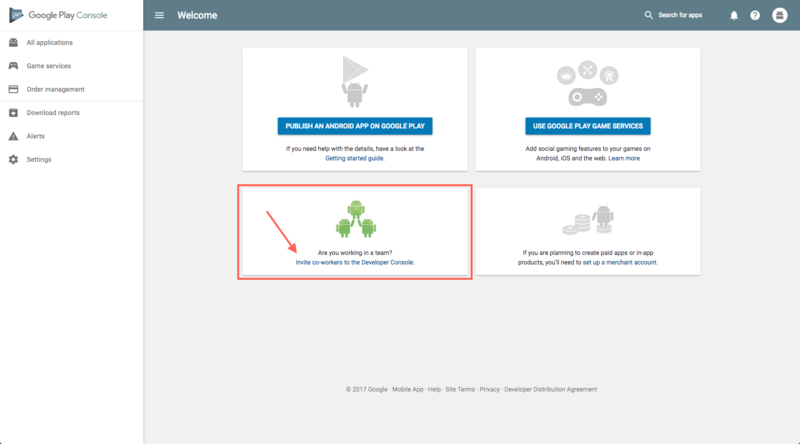 Log into your Google Play Developer Console then click on “Invite co-workers to the Developer Console”. Note: If you already have apps in your account, then instead of clicking the “Invite co-workers to the Developer Console” go to the menu on the left-hand side of the developer console and click on Settings -> Users & Permissions. Step 2. Click on “Invite New User”. 2. Set the Access expiry date to “Never.” This will ensure that if you need to update your Android app at any time, our team will be able to access your account to do so. 3. Select the “Release Manager” role. This will automatically give our team the required permissions to publish your app to the Play Store. Step 4. Once you are ready for us to submit your Android app to Google Play, make sure to provide your Google Developer Name when filling out the “Android Specific” section on your Publishing Info page. We need this information in order to confirm whether or not we received the invitation to your Google Developer account. 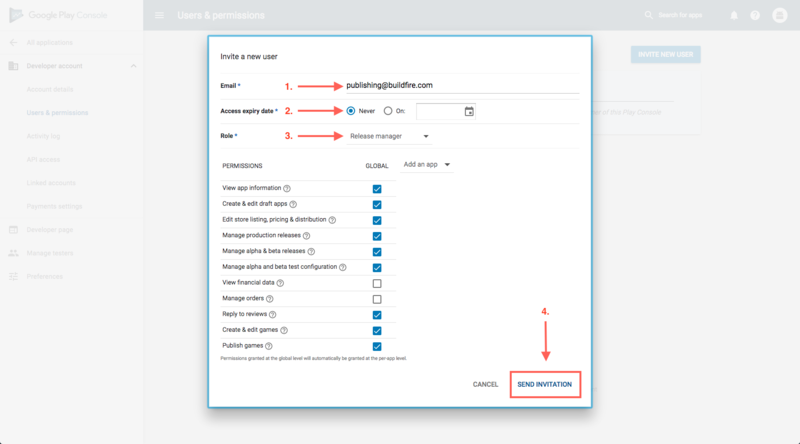 When you’re ready to publish your app, our team will now be able to access your account to publish it for you.